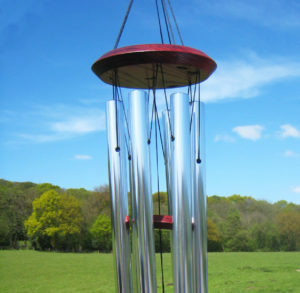 The Gregorian Tenor Classical Wind Chimes are tuned to a medieval scale. Based on European Gothic-era church music. The Gregorian range harmonise beautifully together. This larger Gregorian gives a resonance that seems to last forever. 8 silver tubes allow for a divine sound (click the sample above). 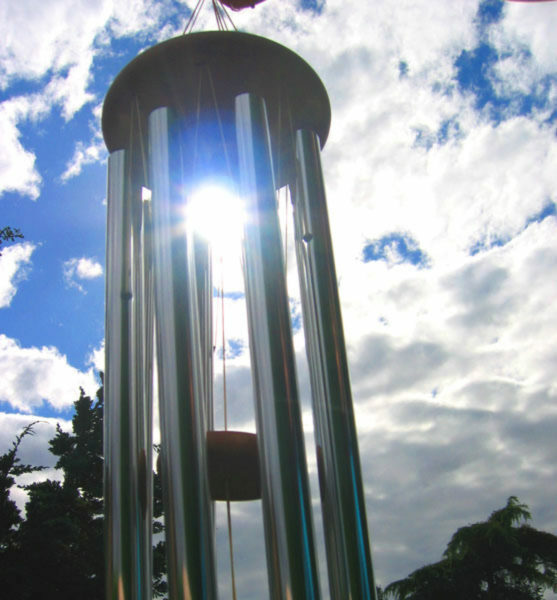 Tuned to C, D, E flat, F, G, A, B flat, C.
All Woodstock chimes are precision tuned, designed to provide years of enjoyment. 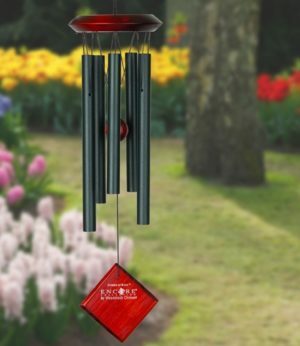 Founded in 1979 by instrument designer and musician Garry Kvistad, Woodstock Chimes are world renowned for their musically-tuned Wind Chimes. Their focus is on innovation, quality, design, and above all, quality tuning. 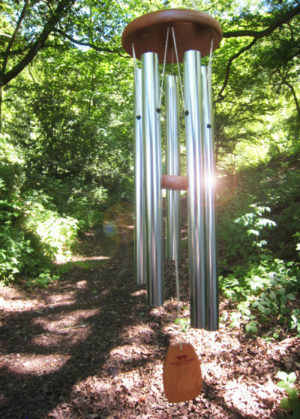 Woodstock Chimes need to be heard "live" to truly appreciate them. All Woodstock Chimes Products come with a 1 year warranty, and a lifetime tuning guarantee. 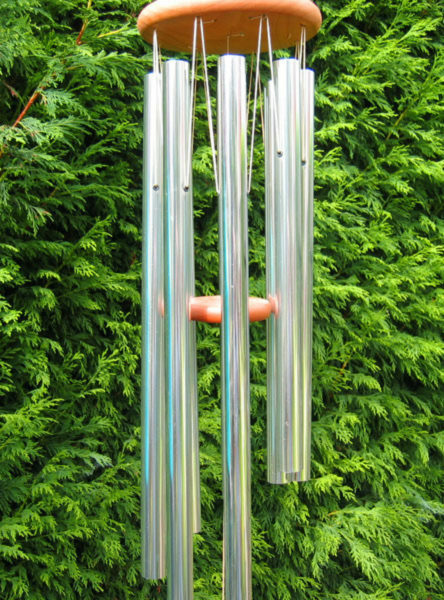 "Hi, I ordered my windchimes on Thursday afternoon and they were with my by the same time on Friday - very well wrapped up too. 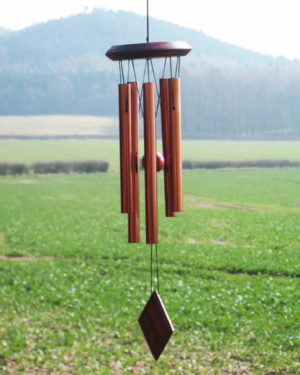 Great service, many thanks"
"Brilliant service my wind chime arrived this morning. Many thanks for the prompt delivery! "